WASHINGTON, D.C. – D.C.’s bowl week experience keeps getting bigger and better. Growing into one of the mid-atlantic region’s premier and most anticipated college football events, the Military Bowl presented by Northrop Grumman brings the excitement of the bowl season to the nation’s capital and a spirit of celebration to the region. The Military Bowl announced today that this year’s bowl week activities will be expanded to include the Military Bowl Battle of the Bands presented by Marriott on Freedom Plaza on December 27 and The After Party at the DC Armory on December 29. 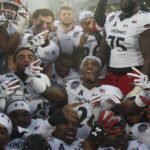 These events join the Military Bowl Official Tailgate Party and the Military Bowl presented by Northrop Grumman as official bowl week activities. In this year’s game, Maryland meets East Carolina on December 29 at RFK Stadium in Washington, D.C. Kickoff is 2:34 p.m. ET (ESPN). The week opens up with each team arriving to its respective hotel, starting with Maryland this Wednesday, and followed by East Carolina on Friday. Alumni, football fans and residents are invited to greet each team and dish out a dose of D.C. hospitality and school spirit as the players, coaches and administrators arrive. School spirit will be in abundant supply during the first Military Bowl Battle of the Bands presented by Marriott on Freedom Plaza from 7 p.m. to 7:30 p.m. on December 27. The school bands from Maryland and East Carolina will go head-to-head in a friendly competition off the field. The event is free and open to the public. All signs point to game day, and this year’s schedule will not disappoint. The popular Military Bowl Official Tailgate Party, at the DC Armory from 10:30 a.m. to 2:30 p.m., features an all-you-can-eat menu, tasting stations by popular D.C. restaurants, $2 beer specials featuring Miller Lite, cheerleaders from the participating schools, music from DJ Chris Styles and a performance by the Reagan Years, one of the premier 80’s tribute bands on the east coast. In partnership with the Restaurant Association Metropolitan Washington Education Foundation (RAMW-EF), the tasting stations will feature selections from Clyde’s, Café Saint-Ex, J. Paul’s, Old Glory, Tony & Joe’s, Nicks Riverside Grill, Rocklands, The Front Page and Brasserie Beck. The all-you-can-eat menu includes chili, hot dogs, hamburgers, sausages and kielbasas. Advance tickets for the Tailgate Party are $20. Kids age 3 and under are free. 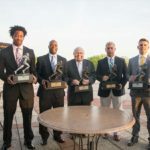 The Maryland and East Carolina football teams will meet for the first time in the third annual Military Bowl presented by Northrop Grumman at RFK Stadium. The Terrapins (8-4, 5-3 ACC) will appear in their seventh bowl game in 10 years while the Pirates (6-6, 5-3 C-USA) will make a school-record fifth consecutive bowl appearance, their seventh since 2000. Game tickets are $25, $55 and $90. Ticket packages and group discounts for 10 or more are available. The culmination of the week’s events is The After Party, a celebration of football and the participating schools and a final opportunity for attendees to show camaraderie in the spirit of bowl week. The After Party will be held at the DC Armory from 5:30 p.m. to 10 p.m. In addition to food and drink, attendees to The After Party will enjoy the sounds of nationally renowned rock band Sick Puppies, whose recent song “Maybe” is climbing the charts, Scythian, a regional rock band whose high-energy, adrenaline-pumping brand of music is a local favorite, and DJ Chris Styles. Tickets to The After Party are $10 in advance. Kids age 3 and under are free. The first 100 ticket buyers will receive a free ticket to ShamrockFest, to be held on the RFK Stadium festival grounds on March 12, 2011. 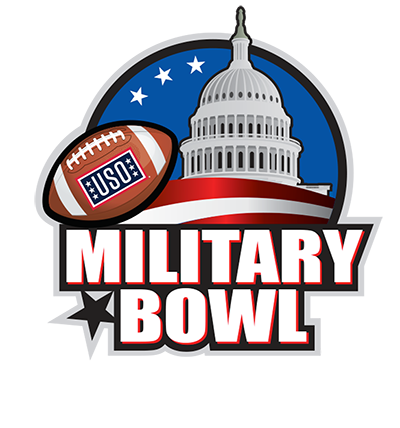 The Military Bowl was launched in 2008 as the EagleBank Bowl and was recently re-branded with new title sponsor Northrop Grumman and the USO as charitable partner. Northrop Grumman, which announced earlier this year its plan to relocate its corporate offices from Los Angeles to Falls Church, Va. is a global security company specializing in aerospace, electronics, information systems, shipbuilding and technical services. A nonprofit, congressionally chartered, private organization, the USO relies on the generosity of individuals, organizations and corporations to support its activities and is most widely known for supporting the troops in the field during times of conflict. Additional information on the Military Bowl and bowl week events can be found at www.MilitaryBowl.org or by calling 202-785-BOWL (2695). Greet and cheer on the Terrapins upon their arrival in D.C.
Greet and cheer on the Pirates upon their arrival in D.C.
School bands from the University of Maryland and East Carolina University engage in friendly competition in downtown D.C. Event is FREE. All-you-can-eat menu and tasting stations from popular D.C. restaurants. Toss in $2 beer specials, cheerleaders from both schools, the sounds of DJ Chris Styles and the Reagan Years, and you’ve got a party you can’t miss. Advance tickets are $20. Kids age 3 and under are FREE. East Carolina (6-6) meets Maryland (8-4) in the third annual bowl game at RFK Stadium. Tickets are $25, $55 and $90. Ticket packages and group discounts for 10 or more are available. Close out the perfect bowl week experience with friends and fellow football fans at the ultimate game day after party. The sounds of Sick Puppies, Scythian and DJ Chris Styles will keep the party going long after the final buzzer. Advance tickets are $10. Kids age 3 and under are FREE. First 100 ticket buyers get a FREE ShamrockFest ticket. 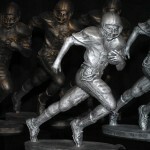 Tickets to all events can be purchased at Ticketmaster.com, all Ticketmaster locations, by calling 800-551-SEAT, at the RFK Stadium box office December 27-29 or the DC Armory will call trailer December 29 (Armory Events only).